Charming 2 bedroom / 1.5 bath end unit townhome overlooking the water in Mallard Lakes. Unit is close to community pool, tennis, dock & playground. Property features Central AC, TV, DVD, Washer/Dryer, 3 Seasons Screened Porch overlooking the water, dishwasher, microwave and outside shower. 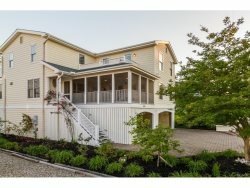 Just minutes to the beach in Fenwick Island! They are always friendly and willing to answer all questions. They offer suggestions of things to do, places to see, etc. I have been renting through Jack Hickman for years and have always had a positive experience! Nice unit with everything you need to enjoy your week at the beach.